Sniff's Book of Thoughts is a collection of deceptively wise insights from the beloved Moomin stories, and we would all benefit from reflecting on their perceptiveness from time to time. Who of us would not confess to liking food, sleeping and things that shine – at least sometimes? Or dream about becoming rich? This is also true of Sniff, who is fundamentally sweet-natured and who willingly participates in everything, so long as it isn't too dangerous or tiring. However, he is always willing to take credit for successes as his own. This book contains insights and support for all those in whom there lurks a little Sniff. The book's original illustrations are by Tove Jansson. 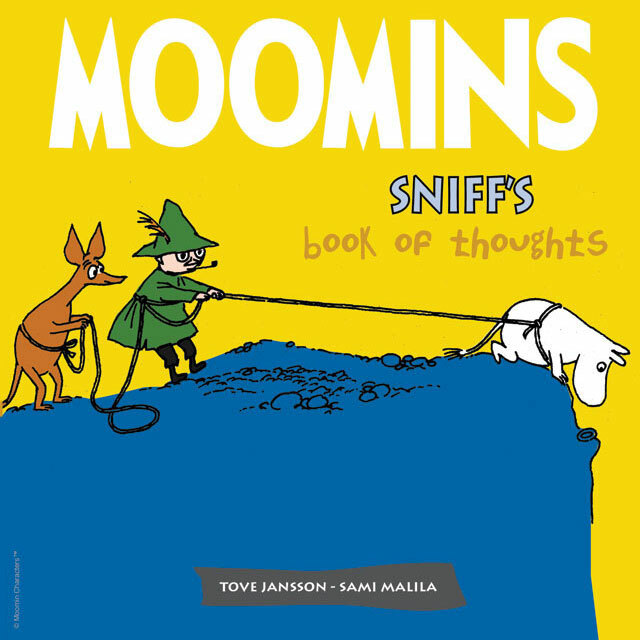 Other titles in this series include Moominpappa's Book of Thoughts, Moominmamma's Book of Thoughts, Moomintroll's Book of Thoughts, Little My's Book of Thoughts and Snufkin's Book of Thoughts. Sami Malila lives on an island archipelago on Finland's southern seaboard. He is foodie, a Swedish speaker and an outdoors expert, spending most of the long summer nights sleeping beneath the stars. Tove Jansson was a writer, artist and cartoonist. The most widely read Finnish author abroad, she is best remembered as the creator of the Moomins. She drew her first Moomin in the 1930s just for fun, to tease her little brother by drawing the ugliest creature she could think of. In addition to the Moomin books, which have been translated into fifty languages, she was an acclaimed writer of novels and short stories.